The soil probe is an essential item in a?wetland soil survey (unless of course you prefer a shovel, which is often a good bet, but larger and heavier to carry for long hikes). Any agronomist, farmer, researcher, consultant and other soil scientists require at least one. An ideal soil probe should be robust, easy to use and provide an accurate representation of the soil profile. Some have added features like storage of samples for later analysis, or replaceable tips for different soil moisture levels.? If you buy a soil sample probe with replaceable tips, be sure to always turn the sample probe CLOCKWISE in the soil, to not lose the tip down below. I personally lost two tips that way, not thinking on a long field day, only to get home and wonder where the probe tip was!? The replacements are $15 or more, so it’s a costly mistake!? And worse, continued use without the add-on tip could damage the threads of the probe, which would call for a full replacement. This simple soil probe leaves nothing to the imagination. It offers a one-piece welded construction, with no removable tip, but is a sturdy sampler at an affordable price, with a sample depth of 15″ which is about right for many wetland soil studies (often the necessary depth per the US Army Corps of Engineers is 16″). This no-frills soil sample probe offers a taper cut tip which yields clean cut samples for easier inspection, with full sample removal. A nice feature, especially for wetland work, is that it’s constructed of 100% stainless steel. The AM Leonard Probe cuts cores approximately 14-1/2 inches x 1 inch. The Oakfield is a top-selling probe suitable for checking soil profiles, including soils with medium to high moisture levels. Coated with nickel-chrome, it reduces friction for enhanced penetration in the soil. The cut is 3/4 diameter and has a welded handle. The AMS Soil Recovery Probe is a good sampler with a rubber grip handle. The measurements are 7/8 of an inch diameter, by 21″ long.? Made of unplated Steel, the comfort grip handle is a nice addition.? The sample length is only 10″, which may be a little short for most wetland soil studies, but would serve as a good backup or quick sampler. Can take a sample for up to 13 inches, and the total length probe is 40 inches. 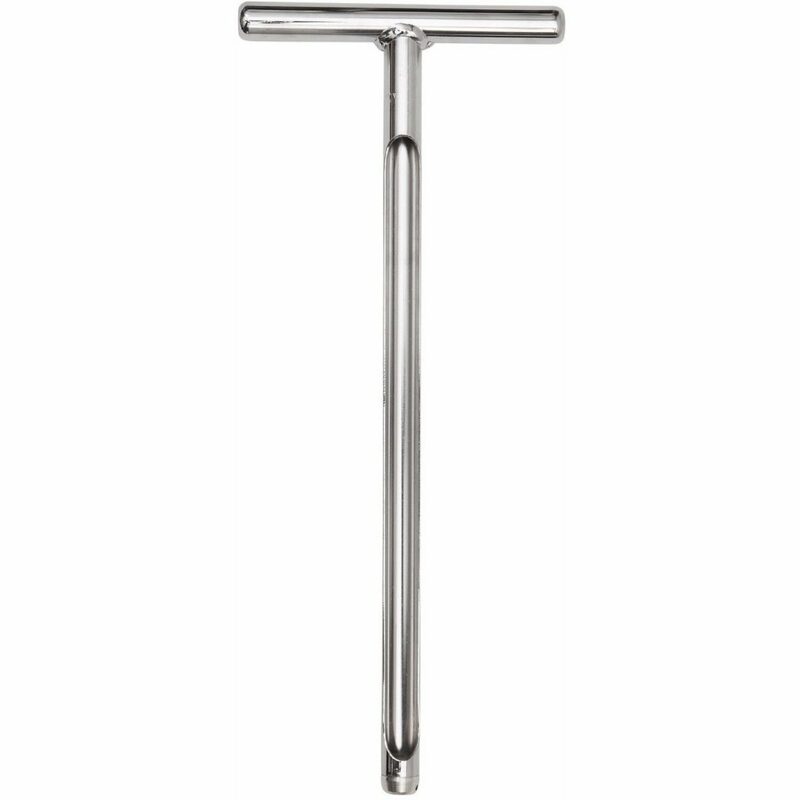 Coated with aircraft quality-alloy steel and chrome; the probe will withstand extended periods of use. Most customers have left positive reviews after using the product. It’s a little on the higher end of costs, and is limited for wetland surveys due to the 13″ stopping point. However, most wetland soil indicators occur within the upper 12″, so for rapid assessments, it’s a good option. For upper 12″ sample collection, examination, and testing; the LaMotte 1055 soil probe is one of the best tools currently available. The tube is made of galvanized steel for strength and durability. Total tube length is 12 inches with a diameter of 1. You can quickly conduct stratification with the tube before removing the sample. This is the “tiniest sampler” on the market.? Really, it’s super small.? I would work as a backup, or small pack option for simply verifying shallow hydric soils on a large wetland. This is another 12″ sampler, but with 40″ handle and step. The SpraySmarter makes it easy to recover a shallow sample of up to 12 inches. Combined hand and foot grips, provide more clutch and less slip resistance. In a muddy?wetland, this feature will come in handy. Coated with high strength steel, the SpraySmarter will last. Larger samplers such as these would be good for drier, clayey soils where the user needs to put some body weight into taking a sample.? Again, the sample depth is limited to 12″ though. Investing in a high-priced soil probe doesn?t necessarily indicate higher quality. Usually, you get what you pay for, but there are some affordable options out there! For usage in clay soils, without an auger, you will struggle to collect samples. In wetlands, a longer soil probe may be needed, to find signs of fluctuating hydrology. Be sure to check out our post on using the Munsell Soil Color Chart as well. Thanks for all this great info on soil sampling. I think the more people understand how to properly sample the soil, the better we can take care of our environment.